Sibelius monument in Töölö is probably the most well-known outdoor sculpture in Helsinki, but actually I quite enjoy another one more. It’s called Olo n:o 22 and it is scattered around Hietalahti. 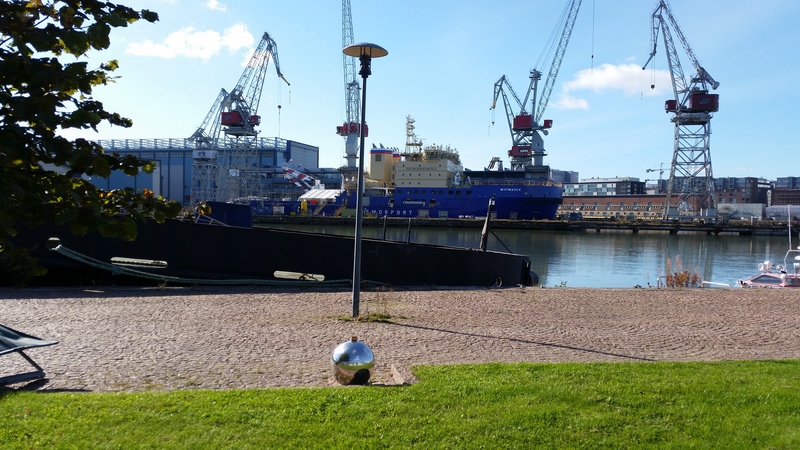 It consists of around 50 polished steel spheres of different sizes and the easiest way to see the spheres is to walk around Hietalahti area for example when visiting Hietalahti flea market Anna wrote about a couple of weeks ago. In order to show the difference in sizes I took a couple of photos with a matchbox on top of the spheres. It didn’t really give anything extra to the photos but I ended up using one of them (just to explain why there’s a small box in the photo above). I tried to find a map that would have all the steel spheres marked but couldn’t find one with a quick googling. I think it would actually ruin the excitement and joy from discovering new spheres from the surrounding area. 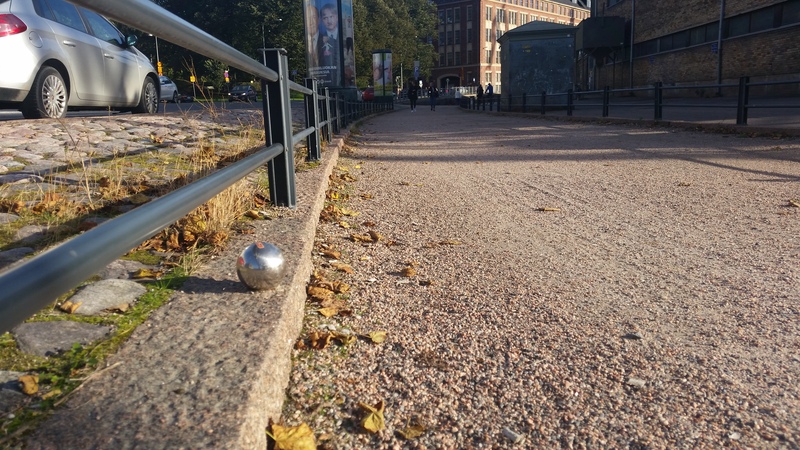 Many of the spheres can be seen when walking along Hietalahdenranta (<– see map), but some of them are also inside buildings and courtyards. At least there’s one inside Salve Restaurant and another one in Shubha Kamana Nepalese restaurant. Enjoy the treasure hunt! P.S. 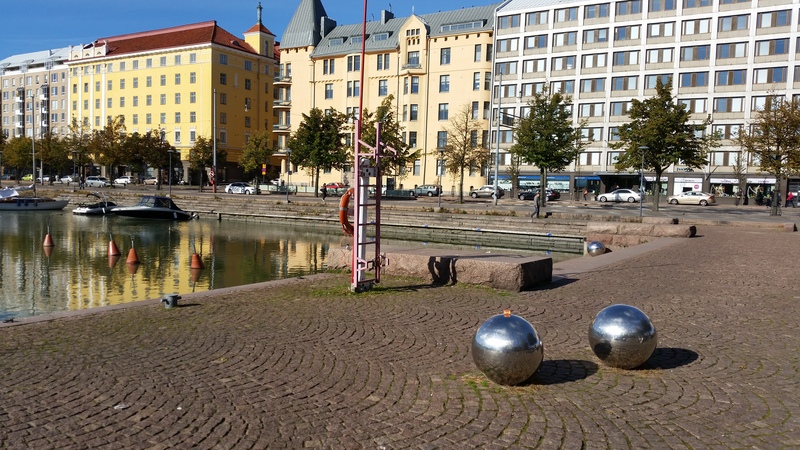 There’s at least 2 other Olo outdoor sculptures in Finland: Olo n:o 39 at Karosen Koulu (a school in Tampre) and Olo n:o 44 at Turku University Educarium and Publicum in Turku.